I'm a big fan of Dan Le Sac vs Scroobius Pip, particularly their debut album 'Angles'. Their mix of spoken word and electro enthralled before the duo decided to take a breather from their combined efforts to focus on individual projects. Scroobius Pip released his debut solo album last year, and Dan Le Sac unleashed his record earlier this year. Enjoy the engrossing electronica of new single 'Long Night Of Life' below before its October 22nd release. 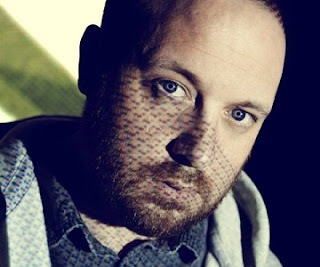 'Long Night Of Life' is the album opener from Dan Le Sac's debut album, 'Space Between The Words', and features folktronic bloke Merz. The new video shows off the sparkling new edit of the track. The entrancing Merz-led intro is a joy, taking us on a calming journey before the swirling electro kicks in. Watch the video for the new single version of 'Long Night Of Life' below and listen to the album version of the track in the Soundcloud embed. Listen to 'Space Between The Words' in full at Soundcloud, which includes collabs with Emmy The Great and Sarah Williams White among others. 'Space Between The Words' is available to purchase at amazon.co.uk. Dan Le Sac is heading out on a UK tour, find more info at danlesac.co.uk.